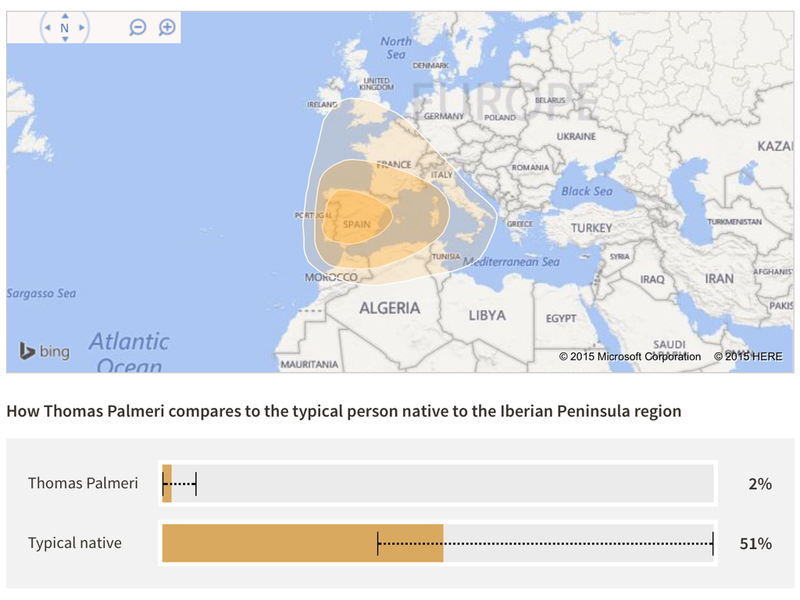 I recently completed a DNA test from ancestryDNA.com. 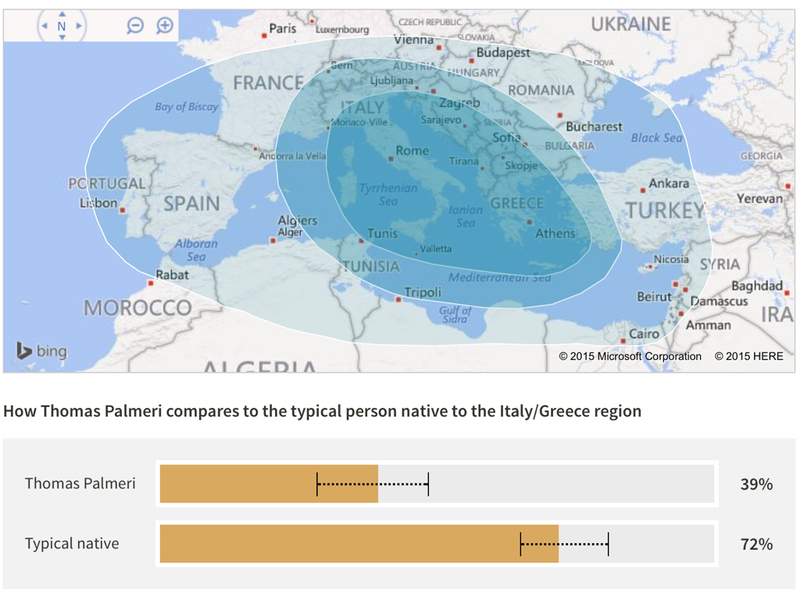 The most obvious region was Italy/Greece – Palmeri, Giambrone, Millonzi, Parisi. Sicily and southern Italy were settled by the Greeks in the 7th and 8th centuries BC; Magna Grecia – Greater Greece – referred to these areas. Today, some of the best Greek ruins are found in Sicily and southern Italy. 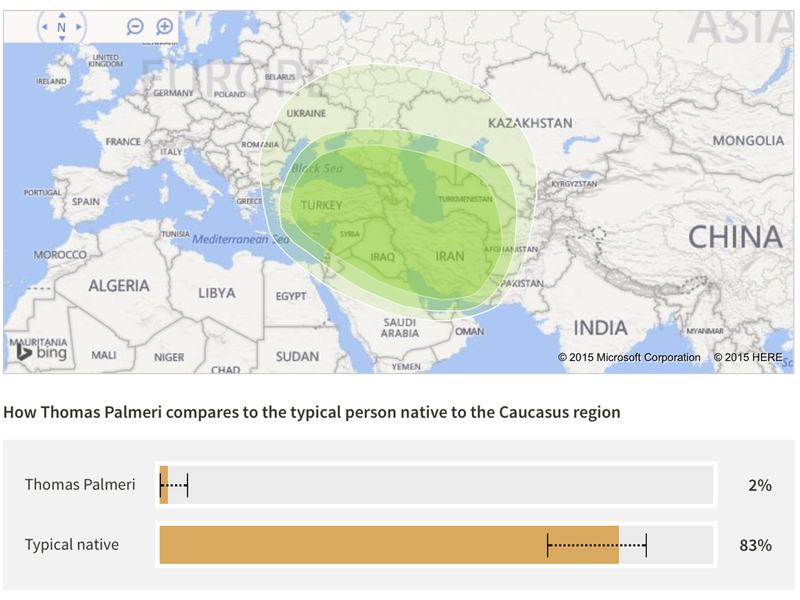 Some of the trace amounts are also consistent with my Sicilian heritage. The three most common other regions seen in natives of Italy and Greece are Caucus, Middle East, and Iberian Peninsula. 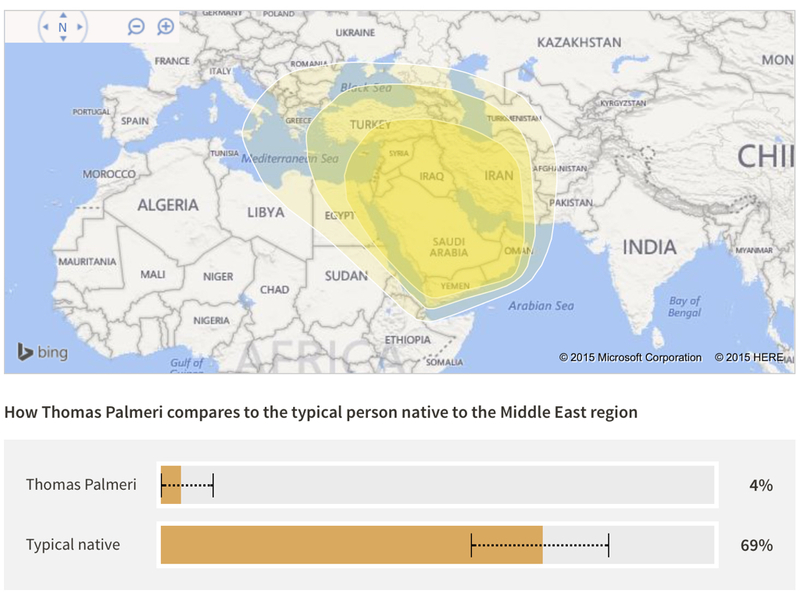 The Caucus and Middle East DNA could be explained by the Islamic control of Sicily from around 827 to 1061. Muslim Sicilians were living in central Sicily, in the region that includes both Montemaggiore and Serradifalco, well into the 1200s. And from the 1400s to the middle 1800s, Sicily was controlled by the Bourbons of Spain – the Iberian Peninsula. 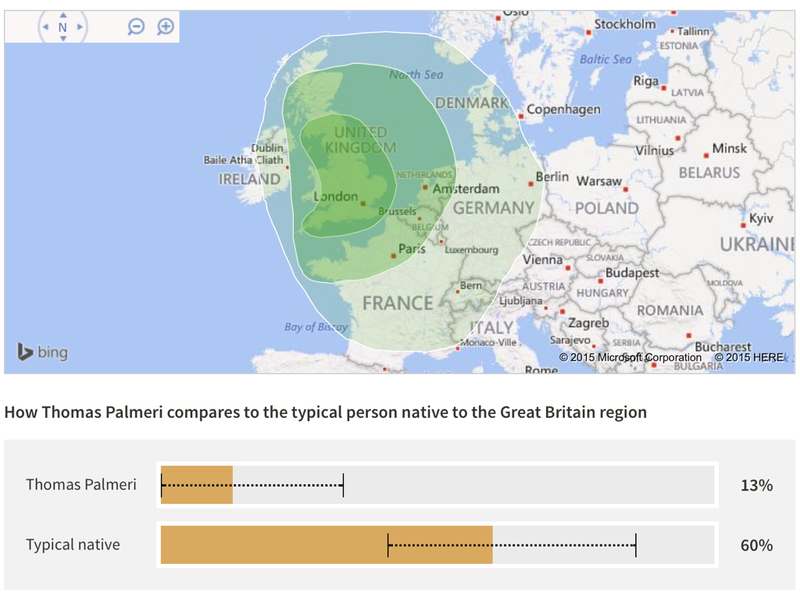 The other obvious component was my Irish DNA. The Cruice, Wilson, Brady, and Burke families all came from Ireland. This DNA could also include my Scottish heritage, from the Cuthberts and Downies. The remaining major portion of my DNA is from Great Britain. While I have no English heritage that I know of, the map includes areas of Scotland (Cuthbert and Downie) and areas of France (de Guehery). Also, the Wilsons, from Northern Ireland, who were Presbyterian, could have originally come from England or Scotland. The last trace amounts are listed as Europe West and European Jewish. Both of these maps cover portions of France (de Guehery) and Germany (Mack). 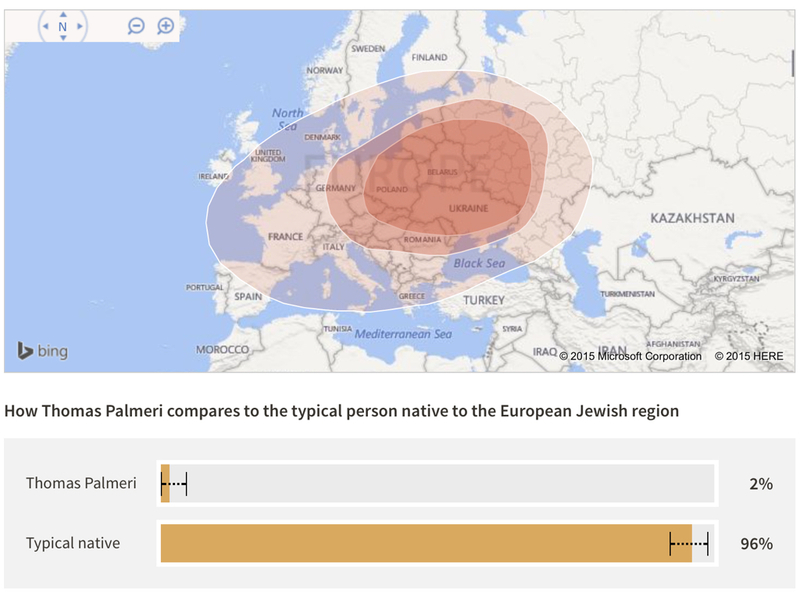 The European Jewish is an interesting possibility. I wonder if there could be some Jewish ancestry, perhaps in the same family tree as the Macks from Germany. 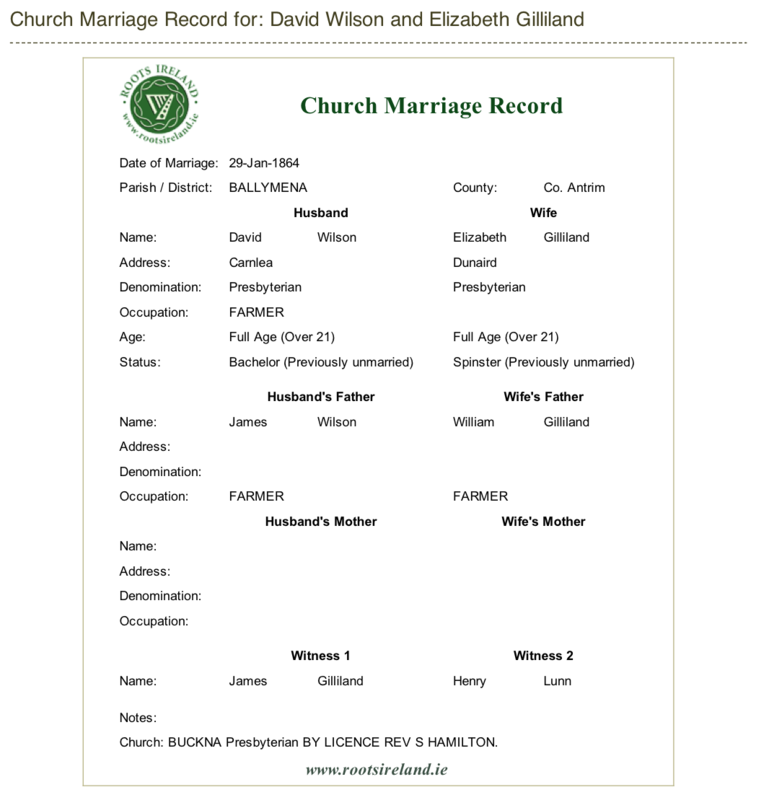 I found a marriage record for my great-great-grandparents, David Wilson and Elizabeth Gilliland, using the Irish Family History Foundation. At 5 Euros a page, it's not cheap if you need to try out many false alarms. In this case, there was only one record for the two of them, and if gave the same marriage date as familysearch.org. It gives their marriage in Ballymena Parish in County Antrim on 29 Jan 1864. David was a farmer in Camlea and his father was James Wilson, also a farmer. Elizabeth was a spinster in Dunaird and her father was William Gillilund, a farmer. They were married in Buckna Presbyterian Church, which is to the east of Ballymena, close to Broughshane, where their oldest son, James Wilson was born the next year. It lists both as over 21, which means that both were born before 1843. Witnesses are James Gilliland and Henry Lunn. Maybe James is Elizabeth's brother? Samuel Wilson, born 30 Aug 1871 and died 30 Apr 1946, and Anna E. Regina Cruice, born 22 Apr 1886 and died 21 Jun 1976, were married 30 Apr 1910 in Niagara Fall. Their one child was my grandmother, Helene Anna Wilson. Because I found my great-grandfather's death certificate in Kenmore, I learned that his mother's name was Elizabeth Gilliland. I knew her name was Elizabeth, but some other record said that her last name was Watts, and other records just listed it as Elizabeth. When I googled this, I learned that the village of Connor is currently encompassed by the village of Kells, just to the southeast of Ballymena in what is now Northern Ireland. Before I had Ballymena as his birth place. This narrows it to the particular location in the Borough. According to Wikipedia, "Kells (from the Irish: Na Cealla) is a village in County Antrim, Northern Ireland, near Ballymena. The area encompasses Kells and the village of Connor which are very close together and have a joint primary school, library, development association etc. It had a population of 1,745 people in the 2001 Census. It is within the Borough of Ballymena. An old stone bridge crosses the Kells Water, separating Kells from the adjacent village of Connor." James Wilson, born 4 May 1865 in 0138, Broughshane, County Antrim, Ireland. Ireland Births and Baptisms, 1620-1881, film number 101100. According to Wikipedia, "Broughshane (formerly Bruaghshane, from Irish: Bruach Sheáin) is a village within the Borough of Ballymena in County Antrim, Northern Ireland. It is 3.5 miles (5.6 km) northeast of Ballymena and 13.8 miles (22.2 km) north of Antrim, on the A42 road. It had a population of 2,364 at the 2001 Census." My great-grandfather's death certificate arrived today. Samuel Wilson was born 30 August. While this says 1874, his naturalization documents say 1871. His wife, right after his death, fille this form out. He filled out his naturalization papers. So I'm going to assume that he was born in 1871. He died 1 May 1946 in Kenmore, NY, of prostate cancer. A couple new things from this document. One is his social security number. I can use that to order his social security application to see if that has some more information. The other is his mother's last name, or at least a possible last name. Some records say it's Elizabeth Watts. This says Elizabeth Gilliland or Gilliband. I finally gave up on ordering genealogical records from NY State. They cashed my checks back in July and still have yet to send me any records. I wrote a letter complaining, but I'm sure that will do no good. So instead I've been emailing and writing various town clerks to see if they might have any vital records. The Lockport Town Clerk found the death certificate for my wife's great-great-grandfather, John Morris. It's $11 for the death certificate but they charged no search fee upfront. 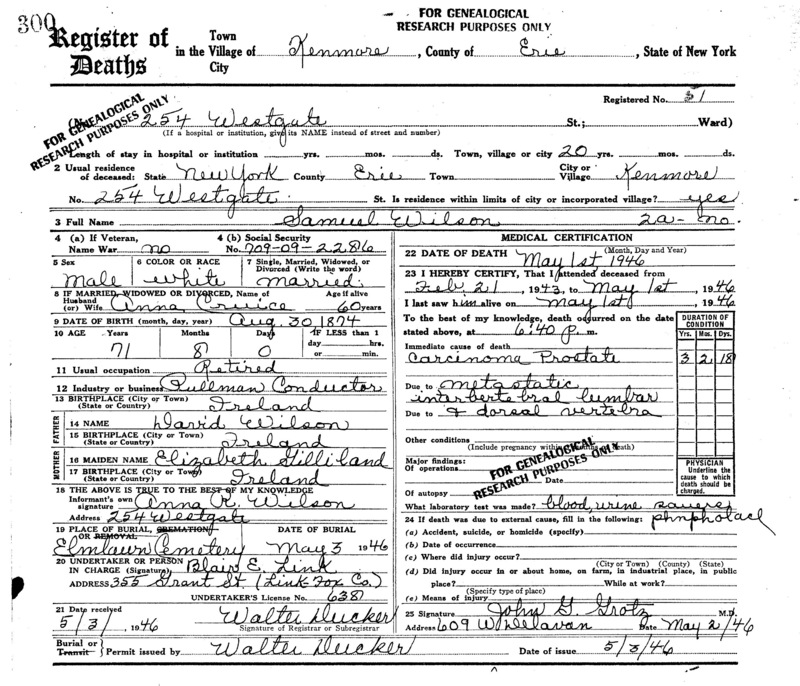 The Kenmore Town Clerk found the death certificate for my great-grandfather, Samuel Wilson. Again, no search fee. Just a $22 fee for a copy of the death certificate. Now I'm hoping that this will have the names of his parents, specifically his mother. I have that his father, my great-great-grandfather, was David Wilson, and I even have what's thought to be a photo of David. What I'm unsure about is the name of his mother. It could be Elizabeth Watts. I'm also hoping that it will confirm both his birth date and his home town of Ballymena, Ireland. 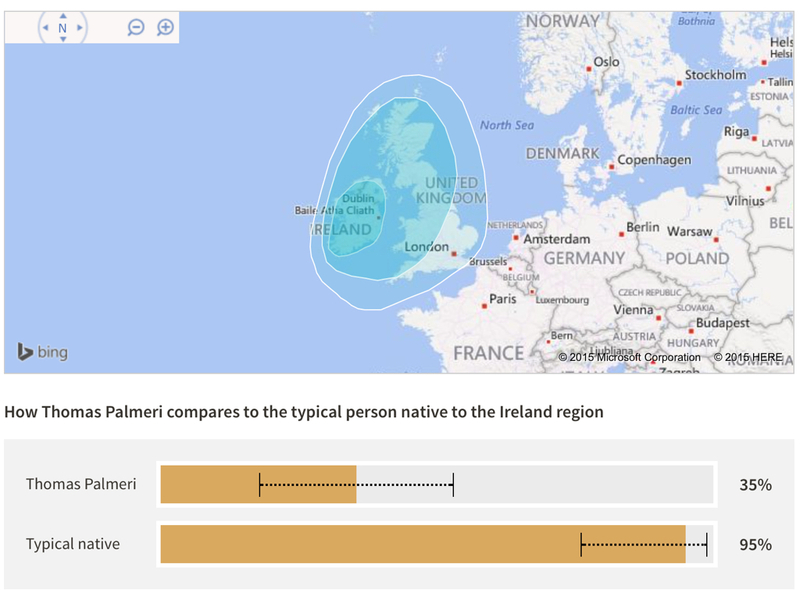 My great-grandfather Samuel Wilson, my mother's maternal grandfather, was born in Ballymena, County Antrim, Ireland, which is now in Northern Ireland and part of the United Kingdom. He was born 30 Aug 1871. He left Ireland from Londonderry on 3 Dec 1890 and arrived in New York on the "State of Nebraska" on 21 Dec 1871. Here is some information about Ballymena that I copied from Wikipedia and the Ballymena Council web page. The name of the town of Ballymena comes from the Irish Gaelic “An Baile Meadhonach” meaning “middle townland”. Ballymena is an area rich in history; you’ll notice many ancient buildings, churches and historical sites in the town and the surrounding villages of Gracehill, Cullybackey, Kells and Portglenone. The first recorded history of this area dates to the early Christian period between 5th – 7th centuries; however archaeologists have uncovered artifacts which are reputed to date from the Bronze Age. The town of Ballymena is built on land given to the Adair family by King Charles 1 in 1626, on the provison that the town holds two annual fairs and a free Saturday market in perpetuity. Almost four hundred years on, the town upholds its promise; the Saturday market still runs and for two days in June, the town’s Ballymena Showgrounds plays host to one of the largest agricultural shows in Ireland. The recorded history of the Ballymena area dates to the Early Christian period from the 5th to the 7th centuries. Ringforts found in the townland of Ballykeel and a site known as Camphill Fort in the townland of Ballee may also have been of this type. There are a number of souterrain sites within a 1¼ mile (2 km) radius of the centre of Ballymena. Two miles north of Ballymena in the townland of Kirkinriola, the ancient parish church and graveyard possess several indicators of Early Christian settlement including a souterrain. Also in 1868, a gravedigger found a large stone slab on which was carved a cross with the inscription ord do degen. This refers to Bishop Degen, who lived in Ireland during the 7th century. This stone is now in the porch of the Parish Church of St Patrick, in the Parish of Kilconriola, which is found in Castle Street, Ballymena. At the end of the 5th century, a church was founded in Connor, 5 miles south of Ballymena. This was followed by a monastery at Templemoyle, Kells. In 831, however, the Norse invaded the Ballymena area, burning the church. In the 12th century, the Normans conquered much of County Antrim and County Down and created the core of the Earldom of Ulster. During this campaign they built great mounds of earth topped by wooden towers, referred to as mottes, as defensive structures. Harryville's motte-and-bailey is one of the best examples of this type of fortification in Northern Ireland. Some sources[who? ], however, credit the Uí Fhloinn with building the mid-Antrim mottes and baileys in imitation of the invaders; the Uí Fhloinn defeated and repelled the Earl of Ulster, John de Courcy, in 1177 and 1178. In 1315, Edward Bruce (brother of King Robert I of Scotland, known as "Robert Bruce") invaded Ireland. On 10 September 1315, at the Battle of Tawnybrack (5 miles south of Ballymena at Kells), Edward conquered the army of Richard De Burgo, the Norman Earl of Ulster. n 1576, Queen Elizabeth I granted land, including the town of Ballymena, to Sir Thomas Smith. The lands had been forfeited to the crown after Shane O'Neill's resistance in the 1560s. Smith brought English settlers to the area. By 1581, Smith's settlement failed and the lands reverted to the crown. On 10 May 1607, King James I granted the native Irish chief, Ruairí Óg MacQuillan the Ballymena Estate. The estate passed through several owners, eventually passing into the possession of William Adair, a Scottish laird from Kinhilt in southwestern Scotland. The estate was temporarily renamed "Kinhilstown" after the Adair's lands in Scotland. The original castle of Ballymena was built in the early 17th century, situated to take advantage of an ancient ford over the River Braid. In 1626 Charles I confirmed the grant of the Ballymena Estate to William Adair, giving him the right to hold a market at Ballymena on every Saturday. In 1641, the local Ballymena garrison fought against the rebels but had to retreat to Carrickfergus. Ballymena's first market house (on the site of the present town hall) was built in 1684. In 1690, the Duke of Württemberg, a Williamite general, used Galgorm Castle as his headquarters. Sir Robert Adair raised a Regiment of Foot for King William III and fought at the Battle of the Boyne. By 1704, the population of Ballymena had reached 800. In 1707, the first Protestant (Church of Ireland) parish church was built. In 1740, the original Ballymena Castle burned down. The Gracehill Moravian settlement was founded in 1765. During the 1798 rebellion, Ballymena was occupied from 7 June to 9 June by a force of around 10,000 United Irishmen, who stormed the Market House (now the Town Hall) killing three of its defenders. The first modern Roman Catholic Church in Ballymena was consecrated in 1827. By 1834 the population of Ballymena was about 4,000. In 1848 the Belfast and Ballymena Railway was established. In 1865 Robert Alexander Shafto Adair (late Baron Waveney) started building Ballymena Castle, a magnificent family residence, in the Demesne. The castle was not completed until 1887. My great-grandfather, Samuel Wilson, naturalization papers arrived today. The first document is the Declaration of Intention. It states that he was of fair complexion, 5' 7", 150lbs, with auburn hair and blue eyes. He was born in Ballymena, County Antrim, Ireland on 30 Aug 1871. There is also the Petition and the Naturalization document itself. He departed 3 Dec 1890 from Londonderry and arrived 21 Dec 1890 in New York. He renounces his allegiance to "His Majesty George V, by the Grace of God, of the United Kingdom of Great Britain and Ireland and of the British Dominions beyond the Seas, King, Defender of the Faith, Emperor of India". The Petition for Naturalization lists William Wilson and Rose Elizabeth Wilson as witnesses. Brother? Cousin? Until a few months ago, I was 1/2 Italian, on my dad's side, and 1/4 Irish and 1/4 French, on my mom's side. My mom's parents were both 1/2 Irish and 1/2 French. Now, things are a little different. My dad is still full Italian. So that 1/2 is intact. My mom's side is a bit more complex now. My maternal grandmother is a Wilson and Cruice. I now know that Wilson side is probably "Scotch-Irish" since census records list Samuel Wilson's parents as being from Belfast and since Samuel Wilson listed his religion as Presbyterian on his marriage record. The origins of the Scotch-Irish lie primarily in northern England and the lowlands of Scotland. They came to Northern Ireland in the 1600s. According to lore, the Cruice family escaped the French Revolution to Ireland. While we considered that part of the family "French", given that Patrick Cruice's wife is Bridget Sweeney, and given that Patrick Cruice's mother appears to be Mary Golden, both decidedly non-French last name, it seems likely that the Cruice side is more like 1/4 French and 3/4 Irish. My paternal grandfather is a Burke and de Guehery. The Burke family is Catholic Irish, but we don't know what the Brady family is (Anthony Burke married Maria Brady), but we'll list her as Irish until we know more. We now know more of the history of the de Guehery family. Margaret de Guehery's mother was Marion Cuthbert, who was Scottish. Her father was Emmanuel de Guehery, who was 1/2 French and 1/2 German. Today I received information on the naturalization of my mom's maternal grandfather, my great-grandfather, Samuel Wilson. I had found his gravemarker on findagrave.com recently. That gave me his birthdate so I could search for his naturalization records, hoping they might reveal something about his parents and his birthplace in Ireland. This is the first step in genealogical search through Homeland Security (www.uscis.gov/genealogy). You first do an Index Search, which gives you this minimal information. Then you use the case number and file number to get a copy of the actual naturalization documentation. One thing that's interesting from this is that I now have a different birth date. On his grave marker, it gives 30 Aug 1874. This gives 30 Aug 1871. Given that this was filled out by him, I imagine this has a higher probability of being the correct birth date. I'll give 1871 a try before checking out 1874. I'll also ping Ireland again. I had originally given them 1874 and they returned no match. Maybe they'll have better luck with 1871. My mother's mother's parents were Samuel Wilson and Anna Regina Cruice. I've had information on Gramma Wilson for a while. I remember her from the few times we visited Florida, where she lived near my grandparents. I had little on my great-grandfather, Samuel WIlson, who died many years before I was born. From census records, I was able to get his birth year, abt 1872, and that he was born in Ireland. Nothing on the date of his death. My aunt thought he might have died in the late 1950's but I was unable to find any records. I finally stumbled on findagrave.com. I think I tried using this a year or two ago, with nothing of use turning up. Maybe I've gotten better. Or the database has gotten better. Or both. But this time I got a hit. My great-grandfather, Samuel Wilson, was born 30 Aug 1874 and died 30 Apr 1946. I tried a quick-and-dirty request for his birth certificate from the Civil Registration Service in Dublin, Ireland. Fortunately, a "no record found" only cost me 2 Euros. The Irish Family History Foundation (ifhf.rootsireland.ie) also turned up nothing. But I'll keep searching. 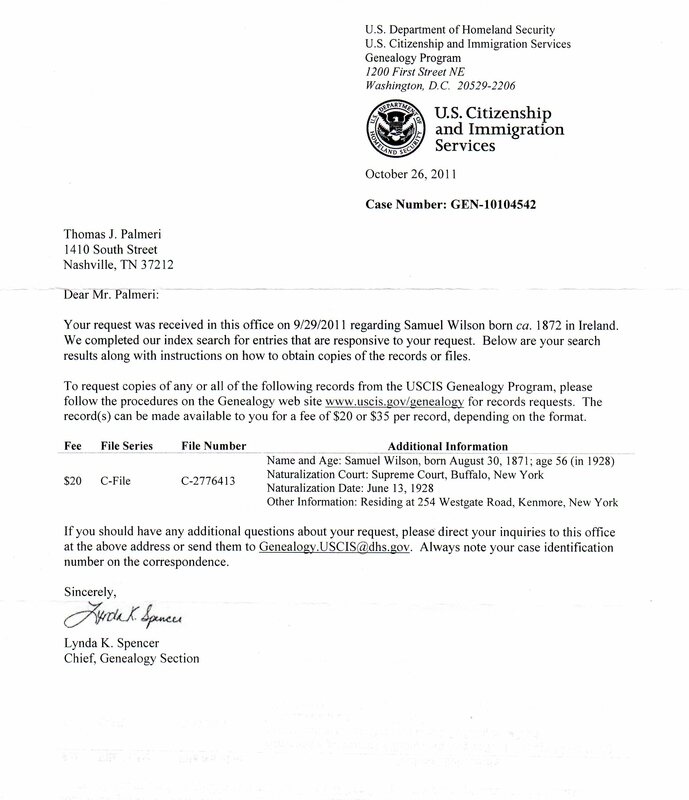 Received information on Samuel Wilson's naturalization on 13 Jun 1928. This indicates his birth date as 30 Aug 1871 (age 56 in 1928), not 1874. The very first step in any genealogy project is to ask your parents and grandparents for any information. Sadly, most of my grandparents were deceased when I started this, and the only one still living was in a nursing home. I remember putting together a basic genealogy when I was in school. I talked with my great-grandmother and she gave me the names of her parents and some of her grandparents. Like many school projects, that's long gone. On my dad's side, I knew my grandmother's parents, Carmela (Parisi) Millonzi and Rosario Millonzi. My great-grandfather died when I was a few years old. My great-grandmother died when I was on a teenager. My dad said his father's parents were Angelo and Maria Palmeri, but did not know Maria's last name. I might have met one of them when I was little, but I don't remember. On my mom's side, I knew my grandmother's mother, my great-grandmother, Gramma Wilson. I might have met my grandfather's father, my great-grandfather, Grampa Burke. But maybe not. 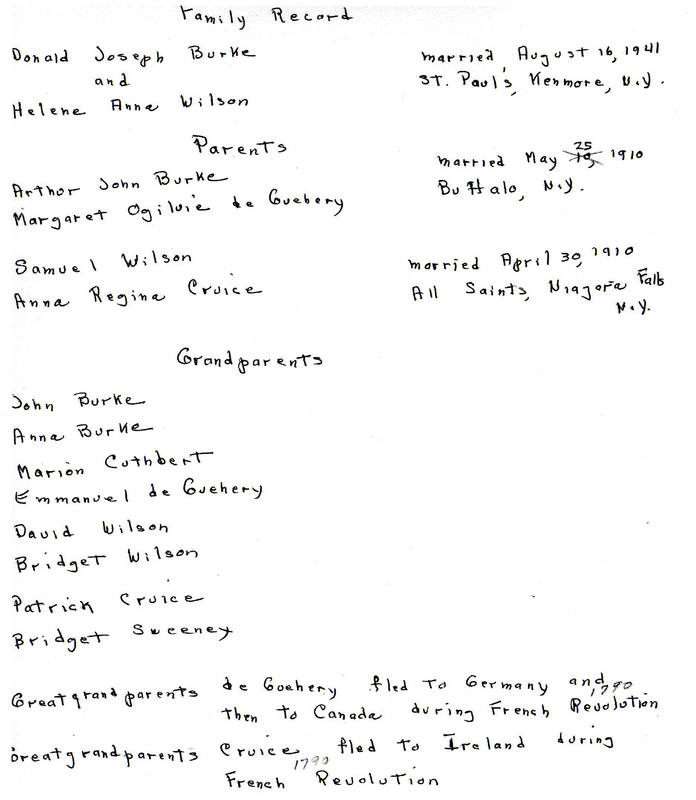 My mom knew that there was something like a Cruice and a de Guehery, but wasn't quite sure how to spell the names, or who went with whom, so she had me get in touch with one of my aunts, who was the family historian. She sent me this family tree with another couple of pages with some of the birth and death dates. After spending most of my efforts working on and off on digitizing and adding to my wife's genealogy, I used this as a starting point for uncovering my own. 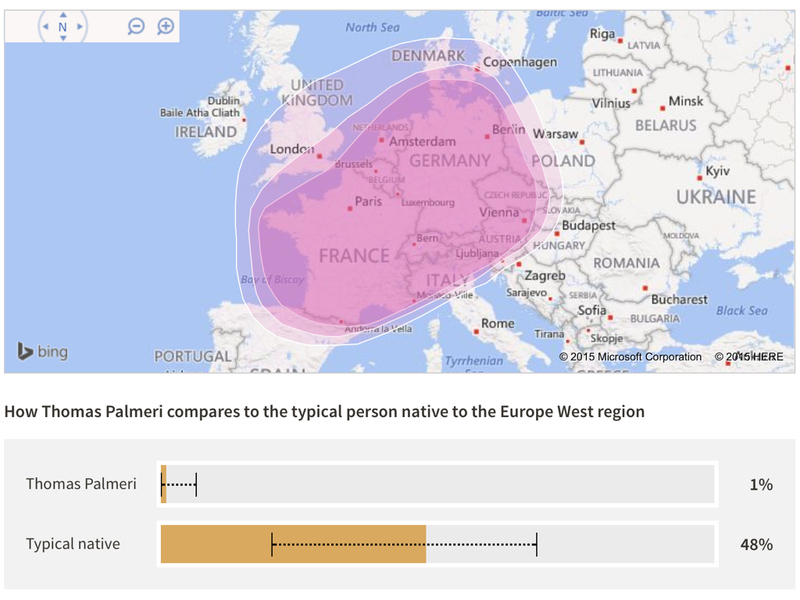 Based on what we knew then, I was 1/2 Italian, 1/4 French, and 1/4 Irish. My mom's parents were both 1/2 French and 1/2 Irish. According to family lore, both French families fled the French Revolution, with the Cruice's escaping to Ireland and then to the US, and the de Guehery's escaping to Germany, then to Canada, and then to the US. Several years ago, I inherited a shoebox full of papers when my wife's grandmother, Jessie Dibble Hill Brown, went into an assisted-living facility. In it were 60+ years of genealogical work she had amassed on my wife's family. For the sake of my two young boys, my niece and nephew, and to memorialize her lifetime of work, I set about putting all of her written records on their family tree into the computer. Jessie did not just have a simple family tree going back a few generations. With the help of cousins and a couple of serious family genealogists, Jessie had traced back her family tree to the founding of the United States and beyond. She had also accumulated many dozens of obituaries over the years. Her genealogical records included very distant cousins alive today who all shared ancestors from the 1700s. One of her ancestors, Daniel Pomeroy, fought in the Revolutionary War. During the Battle of Long Island, he was a Private in Captain Enoch Hart's & Oliver Hanchetts' companies and is said to have saved the life of George Washington. After the battle, George Washington gave his cane to Daniel Pomeroy, which has been handed down to the oldest son in each generation. That ancestor earned Jessie Dibble membership in the DAR, something she cherished throughout her long life. Another line of ancestors were the Denisons. Jessie's great-grandmother was Candace Denison, who married Ichabod Crippen Dibble. They Denisons were one of the early settlers of Connecticut. The Denison homestead still stands and is open to the public (http://denisonhomestead.org/). After I entered in the thousands of names from Jessie's records, I started getting on ancestry.com to see if I could find original records and possibly go back even farther. One of my discoveries, which only took a little bit of searching through existing family trees and published genealogies, was that her part of Denison family included the Starr family, another old New England family, which included within it the Brewster family. 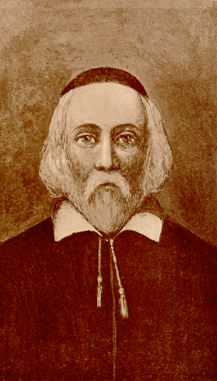 William Brewster, one of the leaders of the Pilgrims, is my boys' 11th great-grandfather. Several other Pilgrims also figure into their family tree. When I was done, I had a family tree for my wife and two boys that went back to the 1500s along several lines, with some tentative branches – twigs really – that could go back to royal families more than 1000 years ago. Then I looked at my family tree. I knew the names of my grandparents and half of my great-grandparents. I knew that my dad's family was from Sicily and that my mom's family was half French and half Irish on both of her sides. But little else. So I set about to fill in my family tree. What started with a little poking around has turned into a serious hobby. Full disclosure: These opening blog entries are fakes. By that I mean that I've added dates to them after the fact to try to trace out and preserve the timeline of when I made the discoveries I did. The stories are real. But these aren't really blog posting. Only things posted after around October 1, 2011 are true blog postings. I'm preserving these so that my children can perhaps someday see the work I did and how I discovered the things I've discovered about my side of the family. I also created a blog because only recently, as I started to seriously research my Italian heritage, did I discover that I may be eligible for Italian citizenship jus sanguinis (by blood). I'll talk about this more in later posts. So part of my interest in putting together this blog was to share my efforts to establish my Italian citizenship with others. Maybe this will all come for naught. We'll see how things turn out.